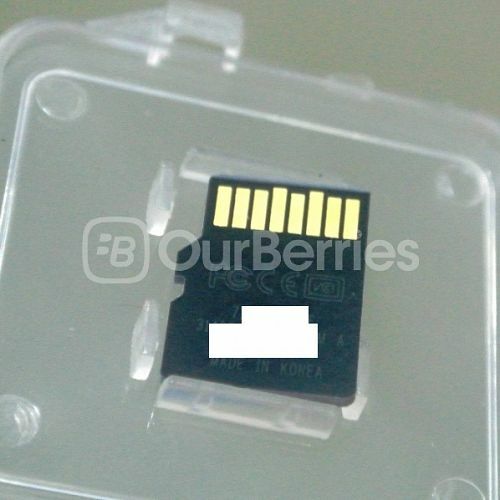 Today, we will start looking at the higher end spectrum of microSD cards, which costs above SGD$50. 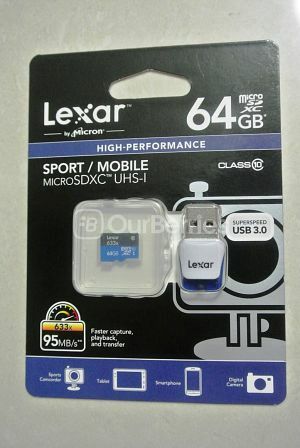 Here, we have with us the Lexar High-Performance UHS-I 633x MicroSD card, which is Lexar’s highest end offering of the memory cards. This, on the heels of their mid-range offerings of the 300x, so how will this fare? 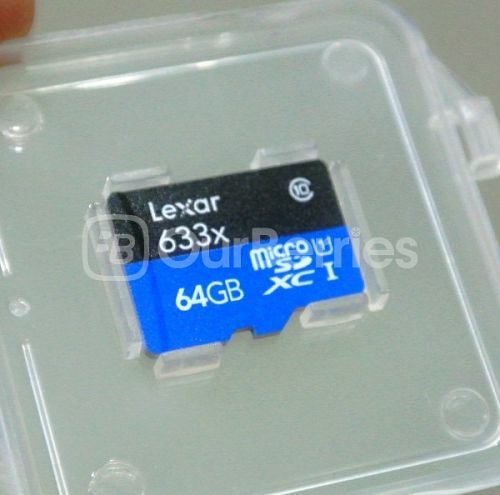 The Lexar High-Performance UHS-I 633x MicroSD is rated to be up to 95MB/s and comes in the black and blue colour design. On the front, we can see that it is being marketed for use for sports/mobile so we are expecting a good sequential and random speeds. 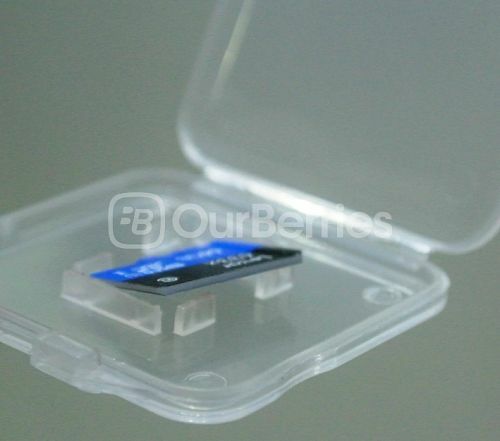 Unlike normal cards, this card comes with a USB3.0 microSD card reader. 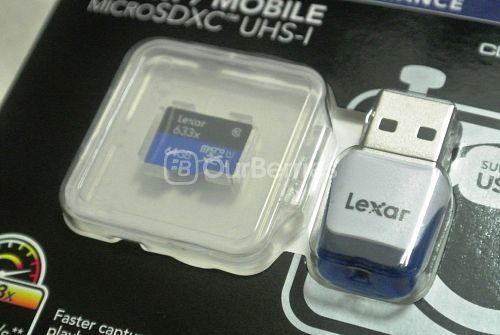 Similar to one provided on the older variant of the Lexar High-Performance UHS-I MicroSD [300x], only this series now comes with the card reader. The card has a black and blue background on it with the text all in white. With the rating, capacity printed on the top, it is pretty easy to see card details. Despite is coming in mainly coloured, the sides are white in colour. On the reverse, we can see the FCC, CE certification, together with the model, serial/batch of the card. In addition, its origin is also on the card, and without any surprise, it is made in Korea. Something that makes this different is also the fact that it is matte, whilst other cards have it in gloss. As seen earlier, the card is rated UHS-I and class 10 rated which tells us we can expect a minimum performance of 10MB/s for read and write speed. 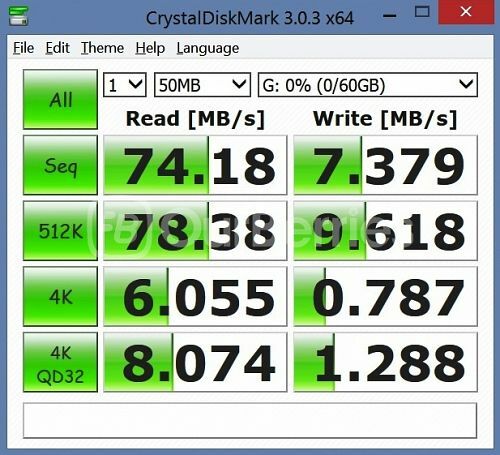 So now, how does this match up to the mid-range Lexar High-Performance UHS-I MicroSD [300x] series? Let us take a look now! 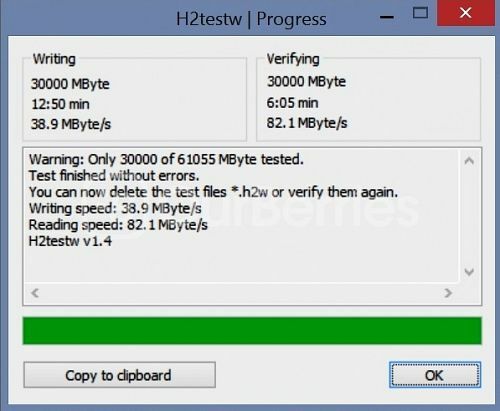 The speed on the h2testw was pretty consistent and constant for both read and write. 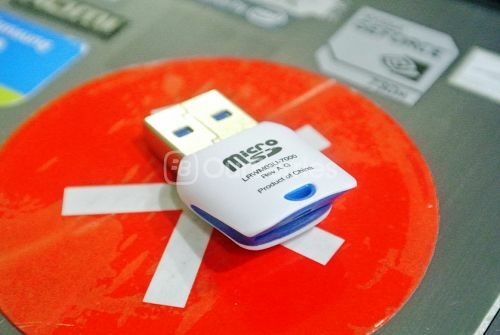 As mentioned, the card comes with a microSD USB3.0 adapter, so let us put this to the test as well! 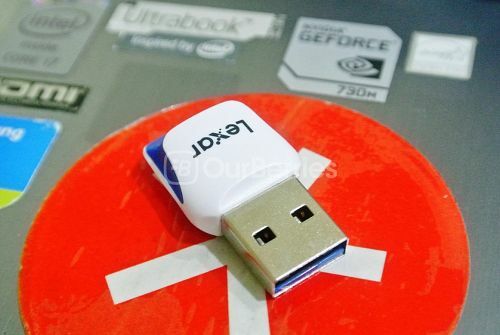 The microSD card reader is designed in white and blue, and is a pretty compact, fuss-free card reader. 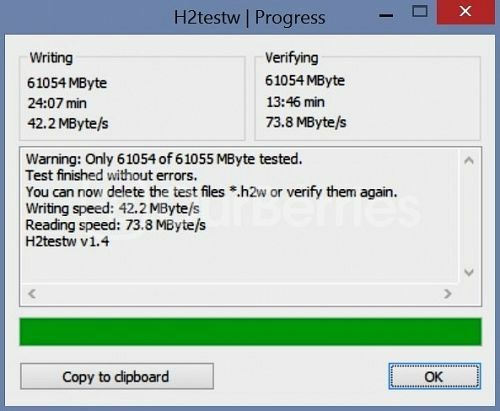 In this case, the write speed on the h2testw went down whilst the read speed went up. 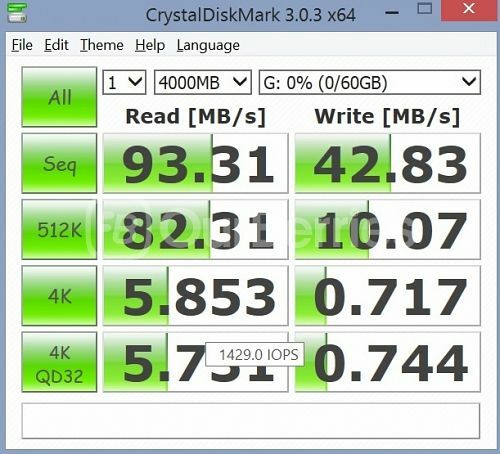 Again, similarly, the read speed is just as fast, but the write, also went down in the first crystaldiskmark test. Here, in the smallest second test, the write speed has suffered dramatically. 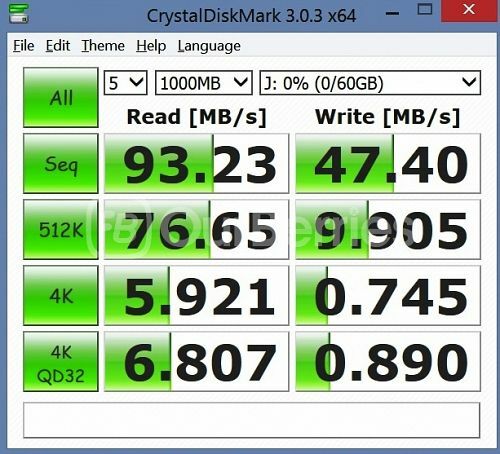 Again, the write speed suffered on the third test. 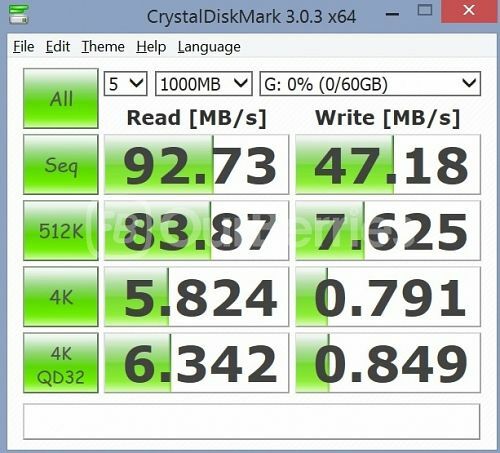 Now, on the benchmarking, we see that the read speed was similar, but on the write speed, it took a sudden plunge that was clearly more drastic than that on the Transcend multi-purpose reader that we have been using. Nonetheless, it was nice to see that a USB3.0 card reader was included in the package, although, of course it was not performing as well as the larger counterparts. All in all, this card still meets the UHS-I Class 3 specification although it is only officially rated to Class 1. Whilst the random performance has out-shined that of the 300x series, the card still performs slower than the other cards, such as the Samsung Plus and Samsung EVO. As such, whilst it can be highly recommend for use for sports or videography, as well as filming in 4K, usage for this in mobile, its perhaps not exactly worth the price. 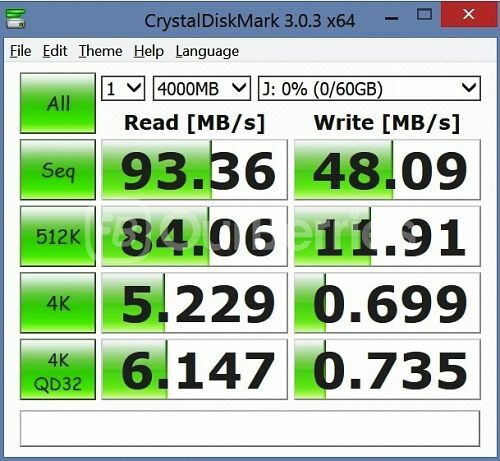 Powered with MLC NAND at the heart of it, and with a availability price of about SGD$90, I won’t say that this is the best for mobile. 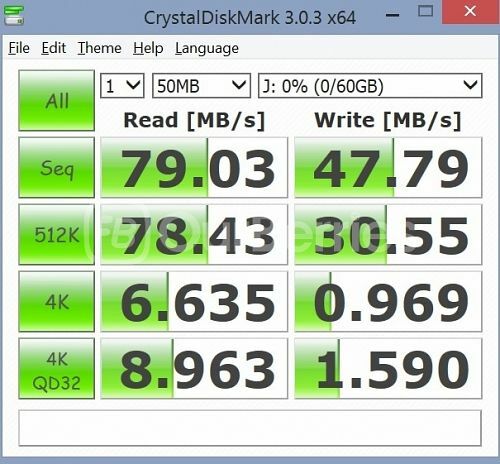 It sure does not hold the fastest write speed, but it sure does have the fastest read speed. Note: A retail sample was provided for this test.